Take Route 50 East to MD Route 3 North. Continue north on Route 3 past Crofton, Waugh Chapel Road and St. Stephen’s Church Road. Look for the Mcknew Road on the left. Make a U-turn onto Mcknew and turn left onto the southbound lane of Route 3. 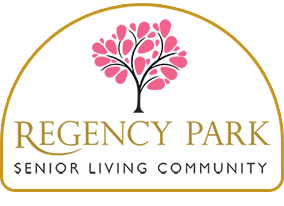 Regency Park will be on your right – (look for our green and brick sign). Note: If you miss Mcknew Road, continue to the intersection of Route 175 and make the u-turn there. Take I-97 South. Follow the signs for Bowie and Crofton where Route 3 exits to the right (2 lanes). Continue past the intersection of Route 3 and Route 175. Regency Park will be on the right (look for our green and brick sign). Take I-97 North to exit Route 32 (Bowie, Gambrills) to MD Route 3 South. Continue south through the intersection of Route 3 and Route 175. Regency Park will be on the right (look for our green and brick sign). Regency Park Assisted Living Residence / Senior Community provides residential living for seniors with high quality health services and is convenient to Annapolis MD, Baltimore Maryland and Washington DC as well as all parts of Anne Arundel and Prince Georges County including Crofton, Waugh Chapel, Gambrills, Odenton, Glen Burnie, Severna Park and Severn.